If it is your intention as a Tenant to take a letting of a house or commercial unit (shop/factory), or as a Property Owner to lease your house or shop/factory unit, it is essential that you first obtain legal advice on the Terms and Conditions of the Letting Agreement / Lease. The correct names, title and address of the landlord and Tenant. The correct address and description of the property being let. The contents (if any) of the property. Rent and manner payable –whether weekly, monthly or quarterly. The transfer of all accounts into the name of the Tenant/Lessee. Guarantor –If a person other than the Tenant is required to guarantee the payment of the rent. Rent review Clauses – How often will this take place and how disputes are to be resolved. Terms relating to the Insurance of the building or its contents and/or loss of profits. Use of the property; Advertising signs/Signage; Notice of Termination. 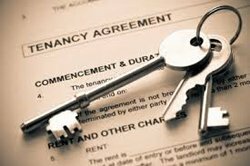 We at Burns Nowlan appreciate that such letting agreements for Clients are often long term commitments, and therefore require the utmost attention to detail and expert advice on the current law relating to tenancy agreements and leases. Landlords should be aware that all lettings of houses must now be registered with the Private Residential Tenancy Board, and that a BER Certificate must be given to the Tenant before the letting Agreement is signed.